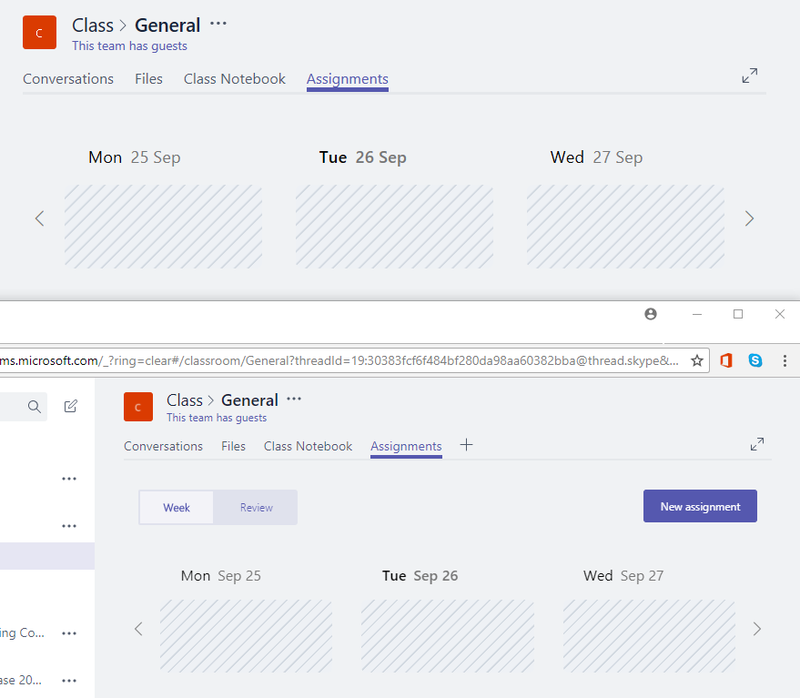 As part of my presentation Microsoft Teams through Microsoft Teams at Auburn University, I’ve looked into the different roles available within the educational version of Microsoft Teams. What are the differences between these roles? 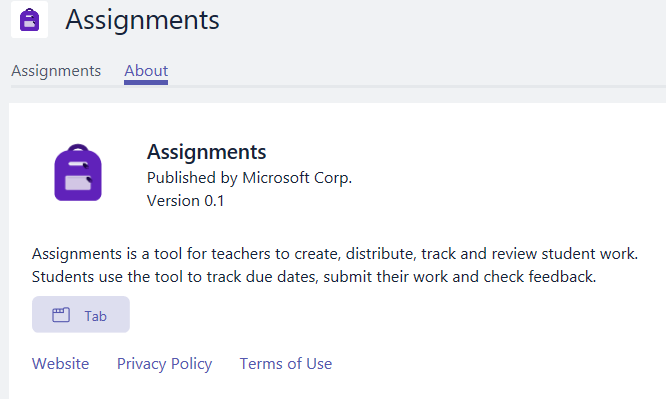 The first things that you will notice is that a teacher has a Assignments option. Note that this option disappears when you switch the developer preview on! This shouldn’t be the case so it looks like this is a bug. 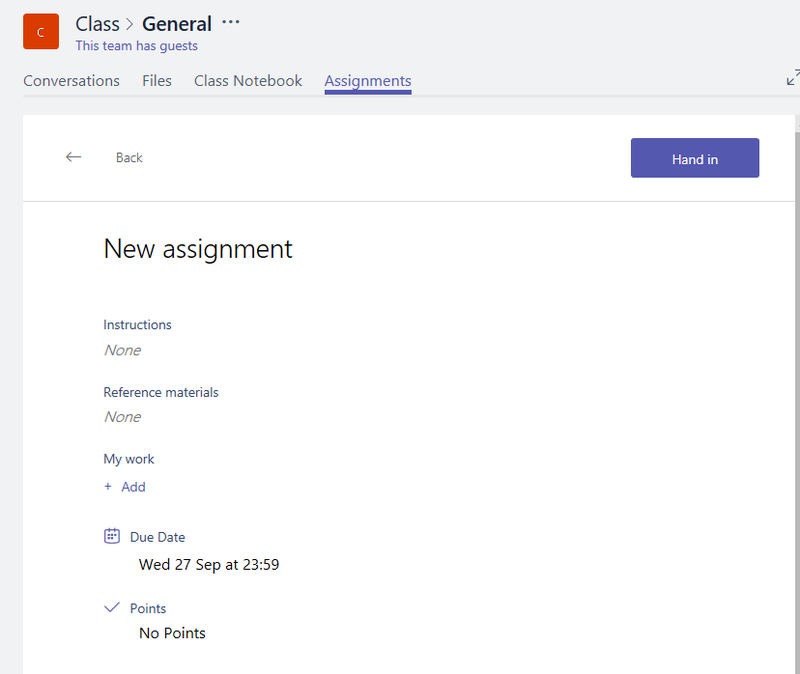 As student you will have the same options except for Assignments and the external student doesn’t have assignments at all. Does this make sense? Well not to me! Why would internal or external users make a difference for being able to get an overview of all assignments. Before I will start to look at assignment, a quick look at the Class notebook. On the left hand side you can see the teacher view. The teacher can see notebooks of all the students where the student can only see a limited number of sections. 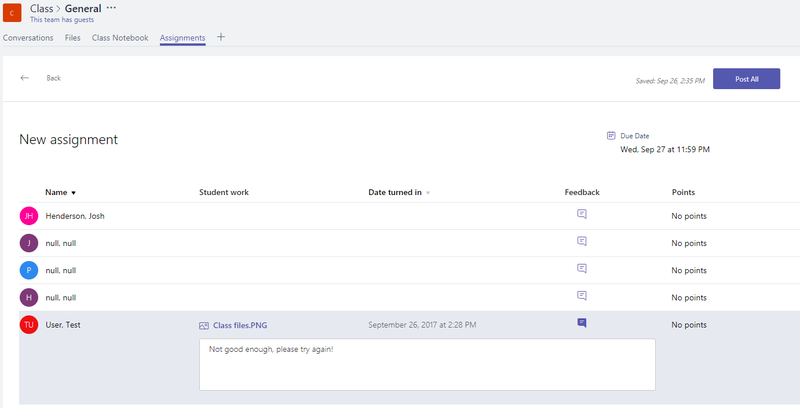 Also, only the teacher has the option to look at the reviews of previous assignments. This all makes sense. Interesting, there are option to use OneDrive, a Link or a document from my computer! Note that there is no option to use SharePoint here! Also the OneDrive option may be a bit different than expected, and OneDrive here only becomes clear when you visit the Onedrive site in Office 365. Now that we’ve seen the Onedrive structure it is a lot clearer how permissions are controlled. 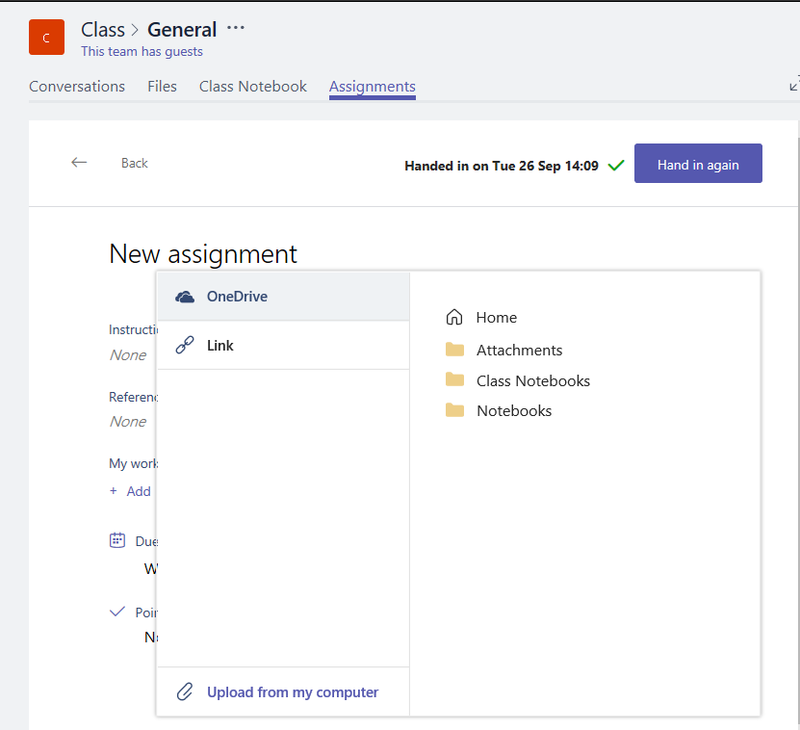 Each student has their own OneDrive section which only they have access to and there is a sectrion with the class shared files. Well it is nice to see how version control is working here! Folders with the name Version 2, Version 3, Version 4 and in the meanwhile also a few Version 2, Version 2 (1), Version 2(2). Wow, this is not very good file management. All my external users don’t appear properly with their names, but for now I’m going to ignore that bug. Of course as a teacher I don’t think that the assignment was don well enough by my student. So I want to leave some feedback. Over here there isn’t an obvious save button on the comment box. Should the Post All button be used? Simply click on the comment icon again and you will notice that the icon changes color. This feedback comment seems to be a comment for the teacher only as the student cannot see this comment anywhere. Time to switch back to the student view. Now you might expect the option to update the assignment… well there isn’t. But I guess the About tab says it all! (Version 0.1) I’m looking forward to the next version of Assignments. This is great! Now I can see when something is changing inside Microsoft Teams! Now we just need a link to release notes here and I’ll be all happy. Well, at least a little bit happier.